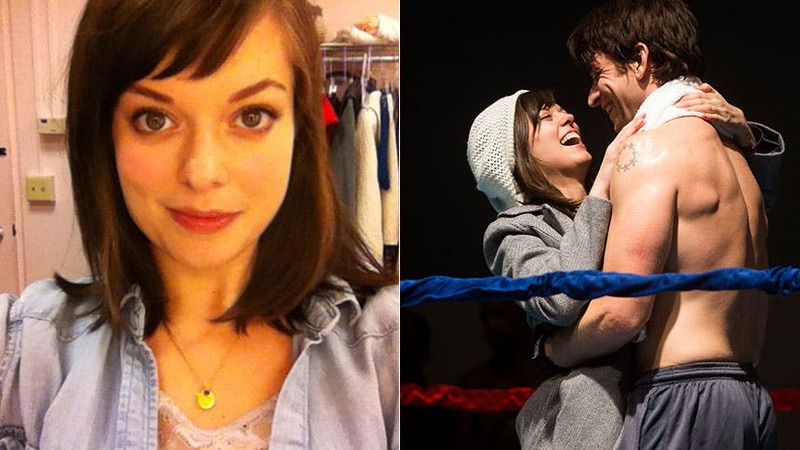 Get ready world for Margo Seibert, the super-talented, young leading lady making her Broadway debut as Adrian in the musical Rocky. Fans of the Oscar-winning film franchise remember Adrian as the unsuspecting pet store clerk who falls deeply in love with Philly boxer Rocky Balboa. Siebert is going to win Rocky’s heart and she’s going to win yours. Get to know to know all about her below, and don’t wait another minute to get your tickets to Rocky at Broadway’s Winter Garden Theatre. Vizsla. I think they are a stunning breed and the perfect trail running partner. For, you know, one day when I grow up and find myself with a hatchback and trails to run. Jimmy Fallon. I'm not so interested in challenging him to a boxing match as much as having him at the Winter Garden to experience the final fight. That would be thrilling! Somewhere between Brooklyn vintage and a mountain woman. Between a Ziegfeld Follies girl and a ranch hand. I like pieces with history, shoes I can walk in, and a touch of lace! My salt lamp. Does that count? I could live without it in an end of the world scenario, but it gives my dressing room the perfect glow for afternoon yoga! Pocahontas. No joke. I've always been fascinated by Native American culture. To my fourth grade self, this meant attempting to dry gourds and weave baskets. I wasn't particularly good at either, although I could do mean rendition of "Just Around The River Bend." Kate Winslet. I admire her work and respect her fearlessness. And she's a knockout! Never leave the neighborhood. Ovenly in Greenpoint is the my haunt for the perfect cup of tea and the best gluten-free peanut butter cookie in all the land....of Greenpoint. “Weightless” by Becca Stevens Band. Go have a listen. "Waiting for Life" from Once on This Island. It starts playing, and I start dancing. Game over. Brazil. I'm determined to learn Portuguese one day. And sing Jobim while I'm there!